The daily financial lives of the poor are, without doubt, immensely complex. Irregular, uneven income streams are frequently unable to meet recurring and emergency expenses. Savings deposits and insurance schemes are almost non-existent, and reliance on credit is high. 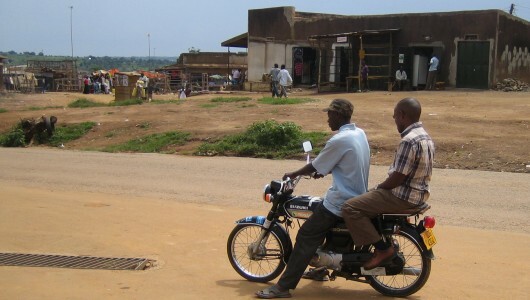 These credit instruments in turn are multifaceted; low-income populations diversify their credit sources, from the more formal bank loans (wherever they are actually eligible for these) to semi-formal microfinance loans, to the more common, often reciprocal, informal loans that they give to and borrow from their immediate social networks. The mobile phone is slowly and steadily transforming the culture of lending to and borrowing from one’s immediate friends, family, and neighbors. Moreover, the mobile phone can be a window into the social networks of people, and more specifically, their financial relationships as well as conversations. Jackson is a boda-boda driver from Kampala, Uganda, and his call logs reveal both, his financial relationships, as well as his conversations about money. Read his full profile here. What do RCTs of Market Information Systems actually evaluate?